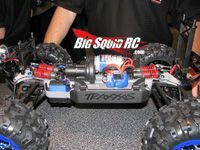 Traxxas Summit Pictures from iHobby Expo 2008 « Big Squid RC – RC Car and Truck News, Reviews, Videos, and More! 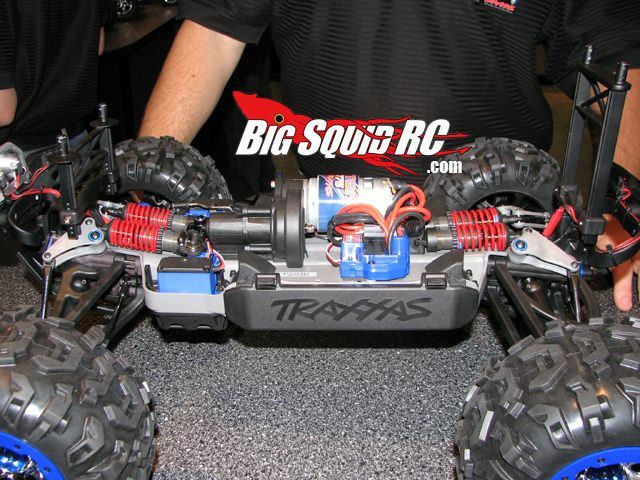 Since we already covered the big 1/16th scale news from Traxxas, I figure we better show the Traxxis Summit pictures we took. 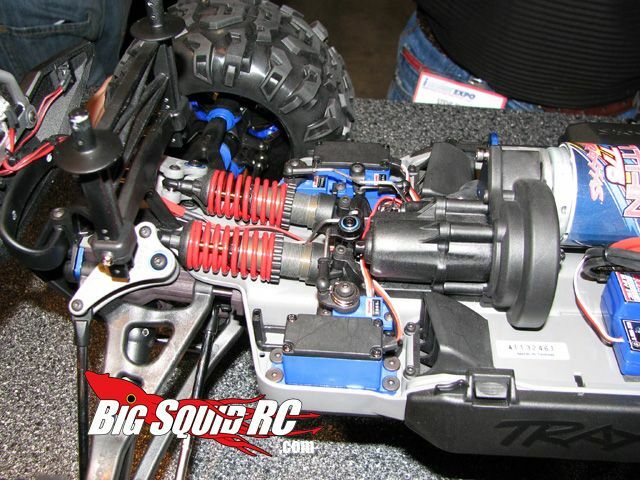 The coolest thing about it, remote locking differential. Lock and unlock on demand from the remote. You can see the extra mini servo’s inside that make this happen. The truck itself is based on the E-Revo, and while a lot of it screams crawler, they really tried to emphasize monster truck. 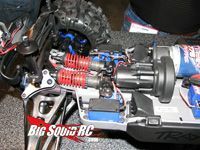 The transmitter can also shift it from low (70:1) to high (25:1) gear. 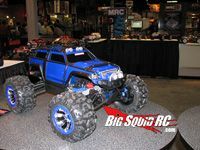 It also comes with their new waterproof electronics setup and a 10-LED light system! 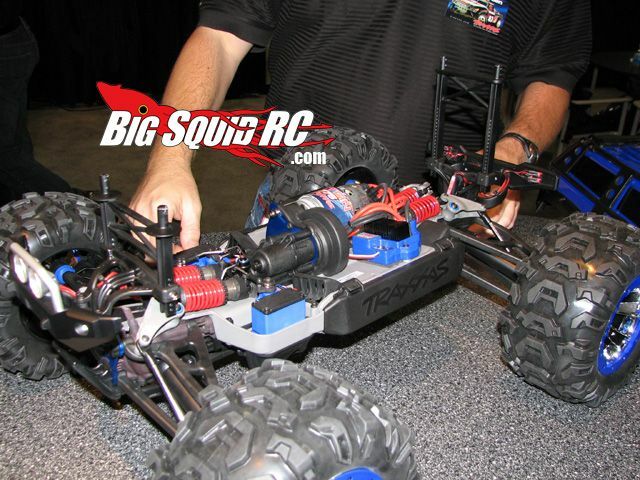 It will be interesting to see if this can hang with the E-Revo. 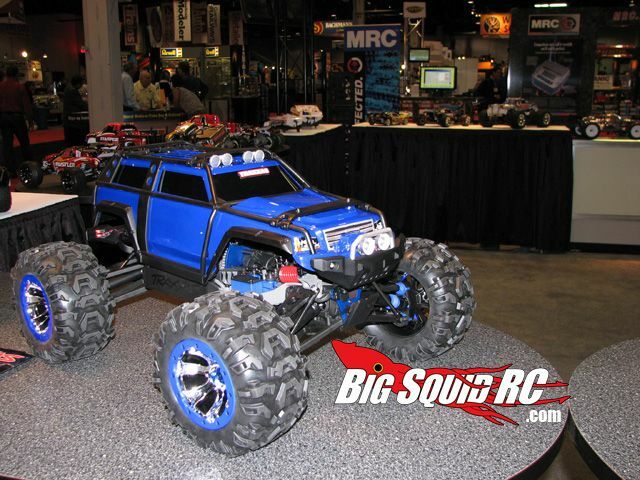 I could use a good electric basher truck! We’ll see how fast it is out of the box.